Kevin Harvick started ninth, finished fourth. Jimmy John’s Ford Fusion came to pit road under green-flag conditions on lap 38 for four tires and fuel. Harvick entered the top-five on lap 47 and the top-three on lap 58. The No. 4 team pitted at the end of the stage for four tires, fuel and an air pressure adjustment. Harvick raced up to second at the start of Stage 2 and challenged Kyle Larson for the lead before falling back to third on lap 116. The Jimmy John’s Ford came to pit road under green-flag conditions on lap 122 for four tires, fuel and a small adjustment. The No. 4 team came to pit road under caution on lap 147 for four tires, fuel and a chassis adjustment to correct a tight-handling car. The pit crew gained Harvick a position on pit road to restart in second on lap 150. The No. 4 team came to pit road at the conclusion of Stage 2 for four tires, fuel and several adjustments. Started fourth and finished fourth. The Jimmy John’s Ford suffered right-front fender damage from hitting debris on lap 180 while racing in fourth. The team came to pit road under green-flag conditions on lap 199 for four tires, fuel and an attempt to repair the fender. The No. 18 stayed out to attempt a different strategy, causing the Jimmy John’s Ford to briefly fall a lap down. Harvick raced his way back to the lead lap on lap 208, racing in the eighth position and advancing to second by lap 228. The team came to pit road under caution on lap 228 for tires, fuel and repairs and restarted second on lap 234. The Jimmy John’s Ford battled for the lead following the restart before falling back to fourth by the checkered flag. Harvick scored his 14th top-five and 23rd top-10 finish of 2017. 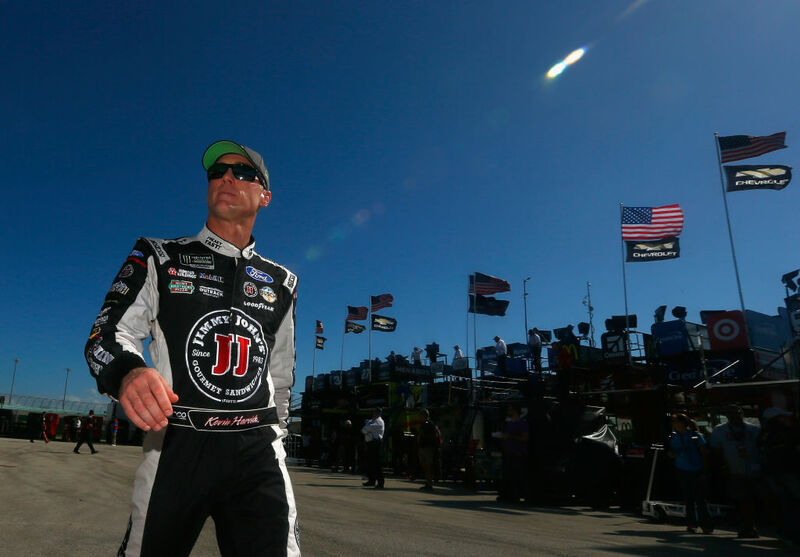 This was Harvick’s ninth top-five and 15th top-10 finish in 17 career Monster Energy NASCAR Cup Series starts at Homestead. In winning the Ford EcoBoost 400, Martin Truex Jr. captured the Monster Energy NASCAR Cup Series championship for the first time in his career, outdueling fellow 2017 Championship 4 contenders Kyle Busch, Harvick and Brad Keselowski. Truex is the 32nd different Cup Series champion. Give us a sense of what an accomplishment this year was. Take us through the last stint.